or 516-729-0921. 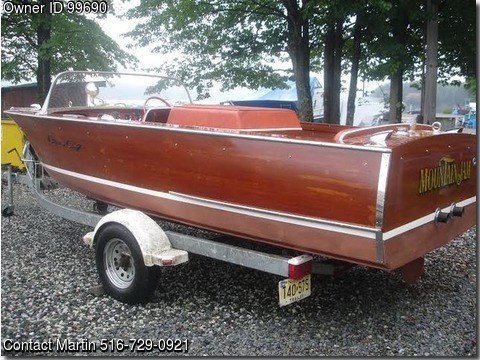 1959 Wooden Chris Craft in MINT condition A TRUE ANTIQUE 18 foot 283 Horsepower, V8 Engine True Inboard completely rebuilt in 2005, Mahogany Boards, New Gas Tank, anchor, Coast Guard pack, full gauges, mooring cover, Beautifully maintained and used on a fresh water lake. Holds up to 5 people comfortably. Perfect for water skiing or tubing. Single axle trailer w/ new tires, and bearings. Runs Great A REAL MUST SEE.